For camping and backpacking, it’s really nice to have a couple of good light sources at night. If you’re a weekend camper, you will often hit a patch of traffic and make it to your campsite on Friday night when it’s already getting dark. Although your eyes will adjust if there’s some light available, pitching a tent and starting a fire for dinner in the dark can still get old quickly. tl;dr: Get an Energizer Pro 7 LED headlamp for $16 from Amazon, or about $20 at Home Depot in person. It’s brighter, more water resistant, and cheaper than most better-known outdoor brand headlamps. It runs off of 3 AAA batteries, and has three brightness settings as well as a red LED mode for preserving your night vision, which comes in handy more than you might think. In terms of technology, LED is the only thing you should be thinking of at this point. In fact, I won’t talk about any other light technologies here. For getting started, any lights you already have around the house will work in a pinch- just make sure they have fresh batteries, and go camping! If you go with experienced buddies, you will immediately envy their hands-free headlamps if you only have a hand-held flashlight. The LED headlamp is the PB&J of camping lights, and if you only have one light, it should probably be one of these. These lights are very cheap to manufacture, and have been around for a while, so some companies add a lot of anti-features, like USB recharging and light sensor auto-adjusting, in order to justify higher prices year after year. I think of all of these features as new and exciting ways for my light to break, or for it to freak out and go into “disco” mode, right when I’m trying to set up my tent. My recommendation is to strenuously avoid this type of gadget-y light, and further, to take any zealous salesperson’s stance on these goofball lights as evidence of how (un)trustworthy their other gear recommendations might be. The granddaddy of modern camping headlamps is the 4-led, 3 mode model best exemplified by the original Petzl Tikka, currently still available as the stripped-down Petzl Tikka 2 for about $30. You can walk out of any big outdoor gear store like REI with one of these, and be good to go- there are many copycats that you can spend more on, but nothing that’s worth it. You can also find no-name Chinese clones of the Tikka on ebay for as little as $2 shipped! Take it from me, the $2 clones aren’t worth it either- I’ve thrown away a half-dozen of them that had to be held together with rubber bands and tape after only a couple of weekends, and the switches on them are very sensitive, so that they turn themselves on in your pack constantly, which runs out their batteries. Recommendation: Although the no-name clones stink, we can still find a better bargain than the standard Petzl Tikka 2, in my opinion. I have an Energizer Pro 7 LED Headlamp that cost me $16 from Amazon, with the first set of 3 AAA batteries thrown in for free. I’ve seen a hard-hat branded version of the same light at Home Depot for about $20, if you want one and can’t wait for it to be delivered. The Energizer Pro 7 LED is bright (58 lumens max), and has three brightness modes, and a red LED mode that won’t blind you or wake your tent-mates if you just want to go to the bathroom during the night. It’s more water resistant than a lot of more expensive headlamps, including the Tikka 2: the Energizer is IPX7, submersible to 1M, vs. the Tikka 2’s IPX4, splashable. Nevertheless, I don’t recommend pushing your luck just to see what will happen if you dunk it. One is none, two is one. For myself, I like to have one other hand-held light besides my headlamp, as a backup, and to be able to point my light without pointing my head, for certain things. Realistically, you’ll do fine for short trips with just the one headlamp, especially if you’re camping with someone else where your buddy’s light can be your backup. A budget conscious hand-held backup would be any AA or AAA powered LED light; they’re between $1-$5 at checkout stand impulse-buy sections everywhere, from Home Depot to 7-Eleven. For the superlight ounce-counters, you might be tempted to get a tiny keychain LED light as your second light. Although there are fancier variations available, decent versions of these can be had 10 for $6, and they’re great to give out to kids or Scouts, in an inexpensive “Altoids Tin Emergency Kit” gift, alongside a tiny liquid filled compass, a P38 can opener, and whatever other small, inexpensive, and useful items you want to throw in. These tiny guys use replaceable little watch-style batteries that are easy to find online for next to nothing. Getting carried away with flashlights, on a budget. If saving money as much as possible is driving all of your gear decisions, you can pretty much skip this next bit. It turns out that flashlights are kind of a thing for some people. There are whole forums and websites, with downloadable spreadsheets and tons of youtube video reviews, dedicated to getting carried away with the humble hand-held LED light. The one company that makes the actual guts of these lights, Cree, pretty much drives developments. Each time Cree puts out a new generation of LEDs, dozens of small manufacturers put out new, unimaginably bright hand-held flashlights based on the latest new Cree LED. Unfortunately, many of these models are to flashlights what a Rolex is to watches: very nice, but they cost about 100-1000 times more than they need to, on the off chance that someone who gives a crap will notice which kind you have. Maybe this intrigues you, and now you want a ridiculously bright backup light based on all this latest-thing technology, for scaring bears, or for potentially angering your neighbors at car-camping campgrounds if you’re not careful. Kidding aside, there are lots of times when a very bright light comes in very handy, and these lights always have a great “low” and “medium” setting as well. Of course, you don’t want to get fleeced (think Casio G-Shock, instead of Rolex). If this is you, I recommend the Cree XP-G2 based ThruNite Archer1A, for $27 at Amazon. Although Amazon was the cheapest I could find it, you might double-check, as it’s widely available online from lots of places. The ThruNite Archer 1A runs off of 1AA battery, and has a max intensity of 178 lumens! That’s BRIGHT. It’s built like you could drive a truck over it (side note, do not drive a truck over it). It still only weighs a few ounces though, depending on the battery. It’s also IPX8 water resistant (immersible up to 3m or ~10 feet, indefinitely). As before, I don’t recommend testing this unnecessarily yourself, only to find out you didn’t screw the cap on tight enough. You can definitely live without this light, and get by with a single headlamp, or with a $1 backup light. However, if you do want a very well built, super bright backup light, it’s currently impossible to beat ThruNite lights on price / performance. I use a ThruNite Archer 1A as my backup light, when I have one. A brief bit about batteries. The easiest battery to use in you camping lights is a normal alkaline battery- they’re cheap and you can buy them anywhere. However, non-rechargeable lithium batteries have a lot to offer in a very bright light like the Archer1A. Although lithium battery specs will show the same number of mAh (the amount of energy stored) as alkaline batteries, non-rechargeable lithium batteries last up to 3 times longer than alkalines when used under high loads. Energizer makes a widely available line of lithium batteries that you can find at many supermarkets and drugstores. Although you can get the Energizer brand lithiums from Amazon for about half the cost of in-store, the off-brand equivalent Tenergy is cheaper still, and gets good reviews. 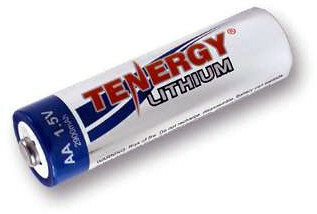 The most reliable source for Tenergy AA and AAA lithiums online is Newegg. If Newegg is ever out of stock, you can check a box to have them send you an email alert when they get more in. I use a Tenergy lithium AA in my Archer 1A Backup light. One last tip for nighttime gear. There’s no question of whether you will drop your flashlight, headlamp, lighter, etc. in the snow / leaves / dirt at night. There’s only a question of when, and how often, and how cold and rainy it will inevitably be that one time you really, really wish you could find the thing that you just dropped. 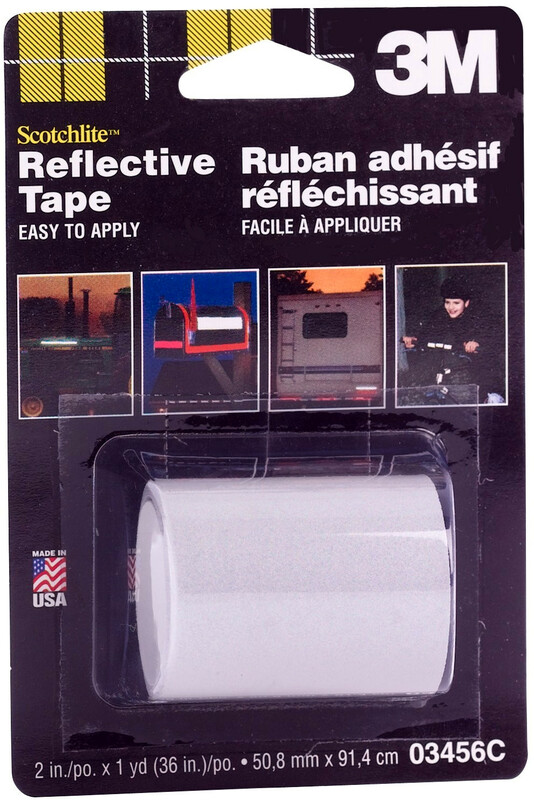 As long as there’s one person left around who has a flashlight, you can find dropped things a LOT easier if you wrap a bit of 3M Scotchlite tape around them. This is made out of the same stuff as the lettering on stop signs and interstate signs, so it lights up if any light hits it, even a dim light. A small roll is about $6.50 and will wrap a family’s worth of flashlights, lighters / matches cases, and other droppable nighttime doodads.